At Starwood Motors, we love the idea of taking something great and making it even more amazing. During every interaction, we aim to be more than your average custom shop serving Fort Worth and the surrounding area. Instead, we aim to work together with our customers to create custom vehicles that completely exceed their expectations! That’s certain the case with our range of project Jeeps. These are more than just tricked out SUVs; these are completely overhauled machines that are ready to do more on and off the road than you can even imagine. The custom Jeep conversions at our Dallas custom shop are built for off-road performance, taking Jeep’s legendary capability and throwing it into high gear. These conversions are more than your typical custom job, though, completely overhauling the original designs to turn the Jeep Wrangler into a brand new vehicle. Many of these conversions start at the frame, making changes to accommodate new body styles and added stress from off-road performance. We then build up with custom body panels, accessories, and extras to create Jeeps that are unlike anything else on the road. 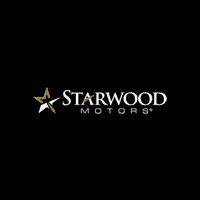 If one-of-a-kind is what you’re after, then Starwood Motors is the team you want to have in your corner. For more information, don’t hesitate to contact us online or to call us today!